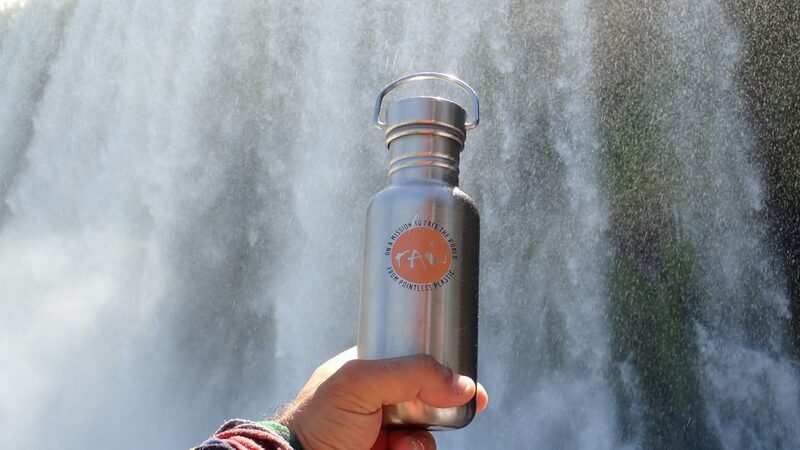 Last month we reported on the first leg of RAW Foundation’s tour of South America. Since then, RAW founder Melinda Watson has made her way through Argentina, Patagonia and on into Chile. It’s continued to be an eye-opening experience – the abundance of plastic waste her team has discovered on beaches, in oceans and rivers, and along the roadside has often been distressing and disheartening. But there have been glimpses of hope too, in the nature that continues to fight back – like the breathtaking Puerto Iguazú falls, pictured above – and the people they meet who are doing all they can to help preserve their little part of the planet. One great example of such a person is Alfredo Santa Cruz, who has made the beautiful La Casa de las Botellas in Puerto Iguazú, Argentina. 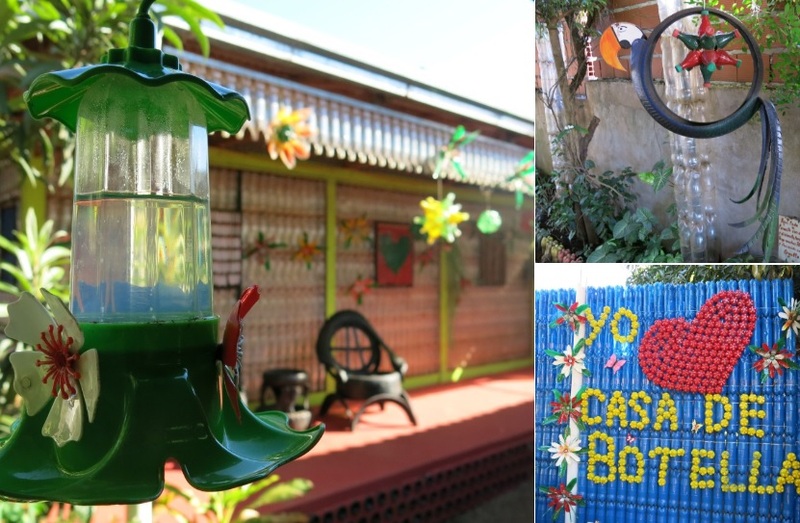 The house is made entirely of waste that Alfredo collected, including aluminium cans, glass jars, CDs, Tetra Pak cartons and of course, plastic trash! There is no municipality waste infrastructure or collection in Puerto Iguazú. A private co-operative recycling company collects household and other rubbish, separates and sells whatever they can all over the world. Alfredo’s house is a small, but brilliant, symbol of what is going on in his local community; a physical manifestation of a broken system that needs to change. And in the river itself there was more evidence of plastic pollution. The river runs through Brazil, Paraguay, and Argentina for 4,880 km and is second in length only to the Amazon River. On a river trawl the team discovered plastic fragments, line and foam microplastics. How much longer can nature fight back? The expedition moved onwards to Patagonia, making it to the beautiful Valdes Peninsula, an important Patagonian nature reserve. But while it was listed as a World Heritage Site by UNESCO in 1999, there were still many signs of pointless plastic pollution cause by tourism, even here. 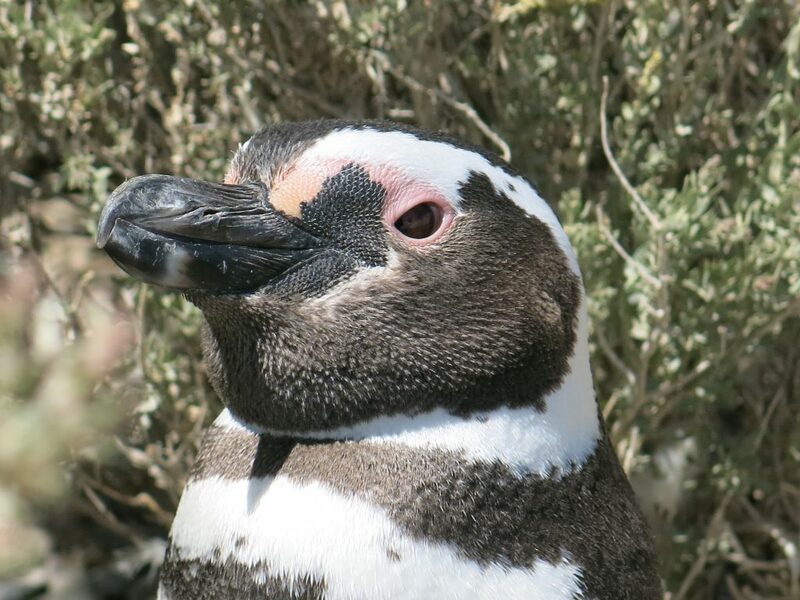 It was also here that the team saw the amazing colony of Magellanic penguins. These stripy black and white creatures are mesmerising – and yet, by 2050, nearly all of them (along with practically every species of seabird) will be accidentally eating plastic debris. This theme continued on a boat trip in Playa Union. Pablo, who works for a tour company explained: “we see a lot of sea lions caught up in plastic – the fishing boats are a real problem.” Hardly surprising when you know that 46% of plastic pollution in the ‘Great Pacific garbage patch’ comes from fishing nets. From the results of beach transects, to self-made rubbish dumps, there have been so many more examples of how South America is being polluted by plastic. We’ll continue to follow Melinda’s journey and post about her findings here, to keep everyone informed about the extent of the global plastic problem. Please read, share and follow RAW Foundation on Twitter and help us raise awareness and spread the word.